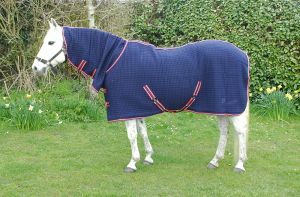 Technical Rug For Drying The Horse While Keeping Them Warm. This Celltex Rug Looks Really Smart And Is Perfect For Clipped Horses /After Bathtime/Cooling After Work. 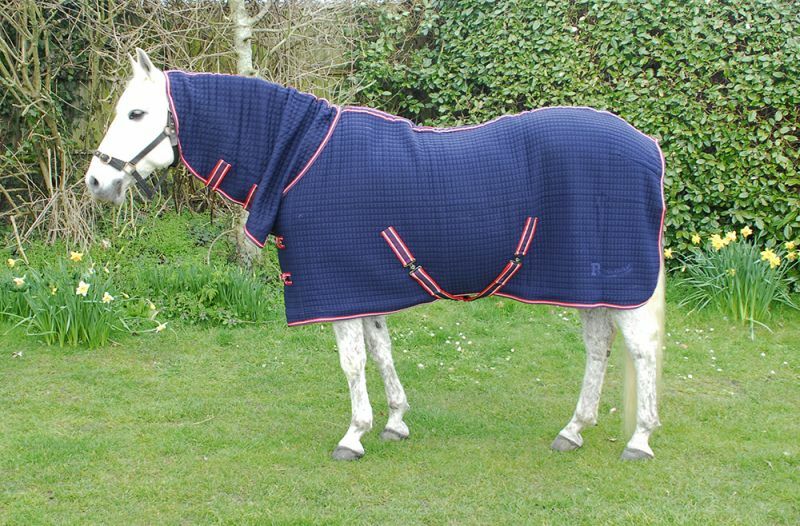 This Full Neck Version Has An Elasticated Loop On The Poll To Attach To A Headcollar. 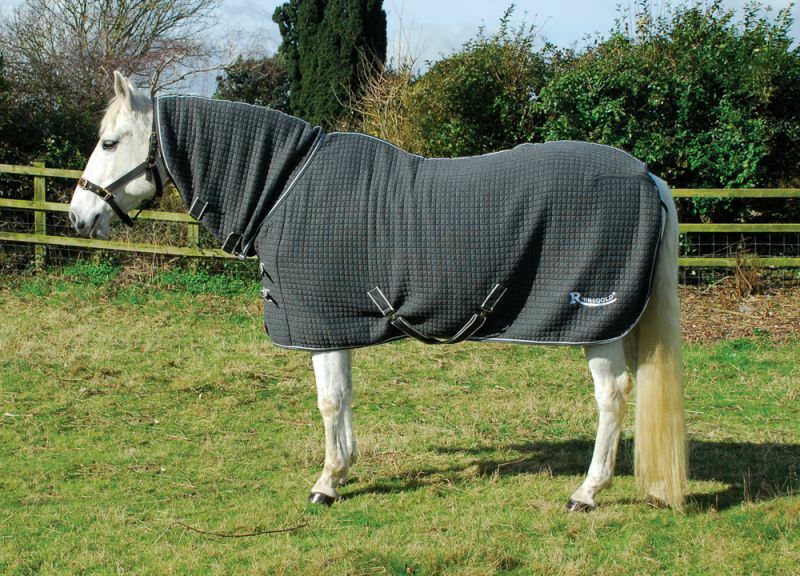 The Cellular Weave Allows Moisture To Leave The Horse And Allows Air In To Aid Quicker Drying.